Home » » UPDATED: #TickTock9 Revealed: Full Catching Fire Soundtrack Album Details! 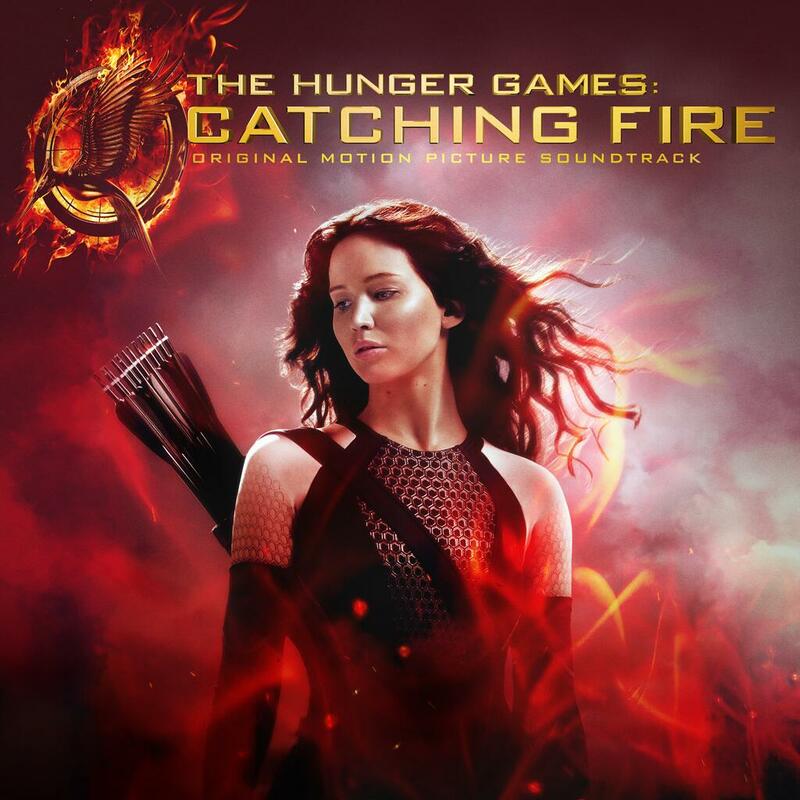 UPDATED: #TickTock9 Revealed: Full Catching Fire Soundtrack Album Details! Be sure to pre-order the soundtrack album, released everywhere on November 19th. UPDATE: The Lumineers recently debuted "Gale Song" in a Marymoor Park live show! You can also watch a YouTube video of the performance here. Well this was unexpected! The Catching Fire soundtrack album details have been revealed, including a full tracklist! Check out this sneak preview of Christina Aguilera's song "We Remain". The album will be released on November 19th. Pre-order it here. If you purchase Catching Fire movie tickets on October 1st, you are entitled to a free mystery song download. What do you think of this AWESOME tracklist?! NEW YORK, NY and SANTA MONICA, CA September 26, 2013 – Lionsgate (NYSE: LGF) and Republic Records today announced a powerful, star-studded lineup for the soundtrack to the motion picture The Hunger Games: Catching Fire, mixing established music icons including seven-time Grammy® winning band Coldplay, Rock and Roll Hall of Famer Patti Smith, and Grammy Award winning Christina Aguilera, along with some of the hottest Billboard chart topping newcomers in the music business. Also top-lining this exceptionally talent-rich collection are The Lumineers, whose self-titled debut album achieved platinum sales status in the US, Canada (3x), UK, Ireland and Australia and Gold in Germany and France, with their hit single “Ho Hey” selling over 4.5 million single downloads in the US. Lorde, whose debut single “Royals” just made her the first female artist to top the Billboard Alternative Songs chart since Tracy Bonham in 1996, will also be featured on the soundtrack. Multi-platinum alternative rock band Imagine Dragons, whose 6x platinum selling song “Radioactive” was dubbed “the biggest breakout of the year” by Rolling Stone magazine; UK singer / songwriter Ellie Goulding whose recent release Halcyon Days includes platinum singles “Anything Could Happen” and “I Need Your Love;” Grammy-nominated singer and songwriter Sia, whose recent collaborations "Titanium" with David Guetta and "Wild Ones" with Flo Rida were both featured in the Billboard Hot 100 Top 10 hits; pop indie duo Phantogram, who have collaborated with Big Boi, graced the cover of Filter Magazine, and who will release their debut album this fall; and platinum-certified Icelandic folk collective Of Monsters and Men, which became an international presence with the ubiquitous single "Little Talks,” contribute tracks as well. Acclaimed Brooklyn rockers The National, much buzzed about Nashville-based artist Mikky Ekko, the artist The Weeknd, and award-winning singer-songwriter Santigold round out the white-hot The Hunger Games: Catching Fire soundtrack, which has already seen its first release, Coldplay’s “Atlas,” debut at #1 on the iTunes Overall Top Songs chart. “Atlas” marks the first-ever motion picture soundtrack contribution written and recorded by Coldplay. The soundtrack will be available in stores and through all digital retailers on November 19, 2013 just before the film opens worldwide on November 22, 2013. Right now, the album can be pre-ordered via the film’s official online store. Those who pre-order the soundtrack by October 27th will have an opportunity to have their names printed on an exclusive The Hunger Games: Catching Fire poster (while supplies last). All pre-orders unlock an instant download of Coldplay’s “Atlas” as well. The unveiling of the film’s soundtrack today celebrates the 9-week mark in Lionsgate’s “TickTock” countdown campaign which reveals exciting new developments each week through The Hunger Games Explorer leading to the worldwide release of The Hunger Games: Catching Fire. Fans are encouraged to engage online to join the countdown excitement leading up to the highly anticipated second film not only by visiting The Hunger Games Explorer but also by using #TickTock9 across all social media this week. The first Hunger Games partnership between Republic Records and Lionsgate yielded the Grammy Award-winning, chart-dominating The Hunger Games: Songs From District 12 And Beyond executive produced by T Bone Burnett. The Hunger Games: Catching Fire begins as Katniss Everdeen (played by Jennifer Lawrence) has returned home safe after winning the 74th Annual Hunger Games along with fellow tribute Peeta Mellark (played by Josh Hutcherson). Winning means that they must turn around and leave their family and close friends, embarking on a "Victor's Tour" of the districts. Along the way Katniss senses that a rebellion is simmering, but the Capitol is still very much in control as President Snow prepares the 75th Annual Hunger Games (The Quarter Quell) - a competition that could change Panem forever. The Hunger Games: Catching Fire is directed by Francis Lawrence, and produced by Nina Jacobson's Color Force in tandem with producer Jon Kilik. The novel on which the film is based is the second in a trilogy written by Suzanne Collins that has sold over 65 million copies in print in the U.S. alone. A division of Universal Music Group, the world's leading music company, Republic is home to an all-star roster of multi-platinum, award-winning legends and superstar artists such as Amy Winehouse, Ariana Grande, Black Sabbath, Colbie Caillat, Enrique Iglesias, Florence + the Machine, Godsmack, Gotye, Kelly Rowland, Owl City, Of Monsters and Men among many others. It is comprised of innovative imprints and digital business ventures including Brushfire (Jack Johnson, G. Love), Cash Money (Lil Wayne, Drake, Nicki Minaj), Lava Records (Jessie J, Lorde), Loma Vista (Soundgarden, Damian Marley), Monkeywrench (Pearl Jam), NBC's The Voice (Cassadee Pope, Danielle Bradbery), Republic Nashville (The Band Perry, Florida Georgia Line, The Eli Young Band), XO (The Weeknd), among others. Lionsgate is a leading global entertainment company with a strong and diversified presence in motion picture production and distribution, television programming and syndication, home entertainment, family entertainment, digital distribution, new channel platforms and international distribution and sales. Lionsgate currently has 30 television shows on 20 different networks spanning its primetime production, distribution and syndication businesses, including such critically-acclaimed hits as the multiple Emmy Award-winning Mad Men and Nurse Jackie, the comedy Anger Management, the broadcast network series Nashville, the syndication success The Wendy Williams Show and the critically-acclaimed new series Orange Is The New Black. Its feature film business has been fueled by such recent successes as the blockbuster first installment of The Hunger Games franchise, The Twilight Saga Breaking Dawn – Part 2, Now You See Me, Kevin Hart: Let Me Explain, Warm Bodies, Snitch, Texas Chainsaw 3D, The Expendables 2, The Possession, Sinister, Arbitrage and Pantelion Films’ breakout hit Instructions Not Included, one of the highest-grossing Spanish-language films ever in the U.S.
Lionsgate's home entertainment business is an industry leader in box office-to-DVD and box office-to-VOD revenue conversion rate. Lionsgate handles a prestigious and prolific library of approximately 15,000 motion picture and television titles that is an important source of recurring revenue and serves as the foundation for the growth of the Company's core businesses. The Lionsgate and Summit brands remain synonymous with original, daring, quality entertainment in markets around the world.